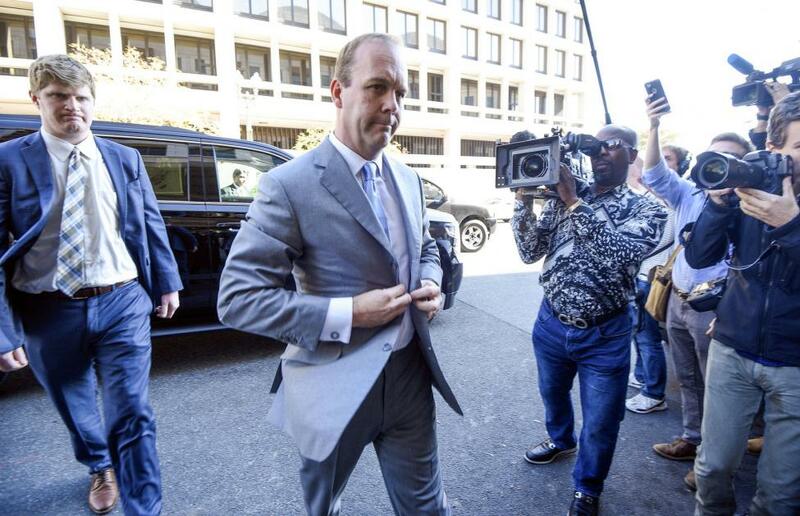 Paul Manafort's attorneys in his financial fraud trial in Virginia portrayed the prosecution's star witness, Rick Gates, as untrustworthy Wednesday. Gates, who pleaded guilty in February to charges of conspiracy and lying to the FBI, admitted to committing crimes with former business associate Manafort earlier this week. He finished his testimony Wednesday, Day 7 of the trial. During cross examination, Manafort's attorneys pointed out Gates' extramarital affairs, including a woman in London who may have had a hand in the financial crimes Gates to which admitted, Politico reported. [post_ads]Defense attorney Kevin Downing asked whether Gates' "secret life" -- four affairs over the course of five years -- happened during the same time he embezzled funds from Manafort. Gates said it did. "After all these lies, and the fraud you have committed, you expect this jury to believe you?" Downing said, according to NBC News. "I am here to tell the truth and to take responsibility for my actions. Mr. Manafort had the same path," Gates said. "I am here. I have accepted responsibility and I am trying to change." The exchange concluded Gates' appearance in the Manafort trial. Manafort is accused of committing bank and tax fraud by hiding political consultant income he earned in Ukraine from the Internal Revenue Service. Prosecutors allege Manafort used various ways to hide his income, including wiring money from Ukraine to the United States via a bank in Cyprus and listing it as a loan, and laundering nearly $1 million through the purchases of Oriental rugs.